Today I'm sharing my next project from Playing with Type by Lara McCormick. 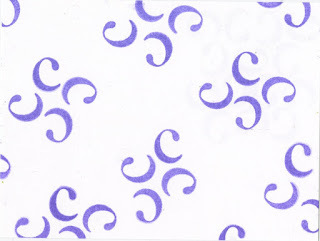 The challenge wasw to create a pattern using a single letter from one typeface. 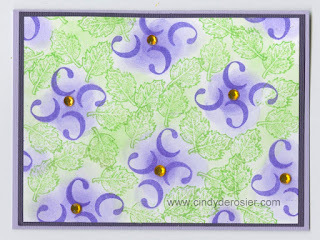 I used a leaf stamp on all the white space between the flowers. Then I dabbed purple ink to fill in the flowers and green to extend the foliage. Finally, I matted the cardstock with a dark purple and glued the whole thing to a lavender card base. Self-adhesive gems became the centers of all the flowers. What a fun challenge! I never would have thought to try something like this without the prompt. Oh wow! That is seriously so creative and pretty! I would have never guessed you made that flower from an alpha stamped letter! 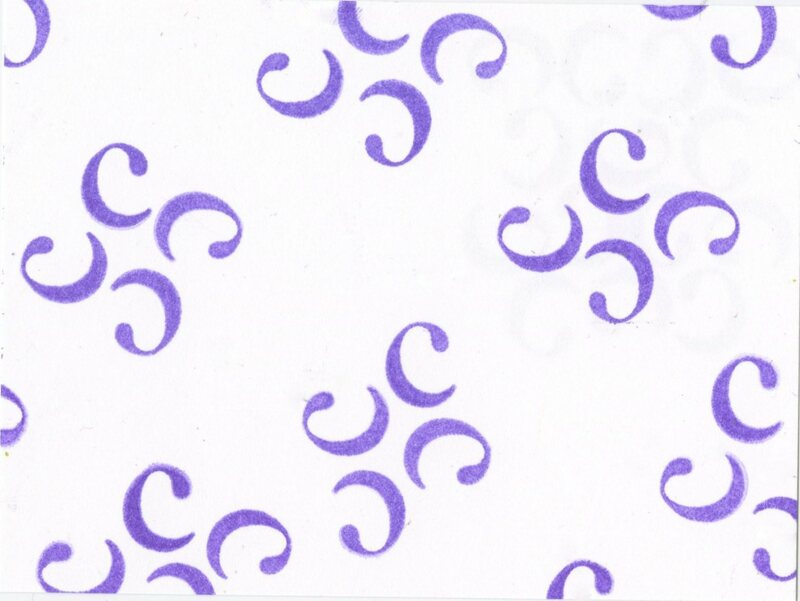 Oh, I love how you used the letter C to make this cute card. My mom's name starts with a C. She would totally dig this idea!